at the corner of South Lamar and Barton Springs in Austin. 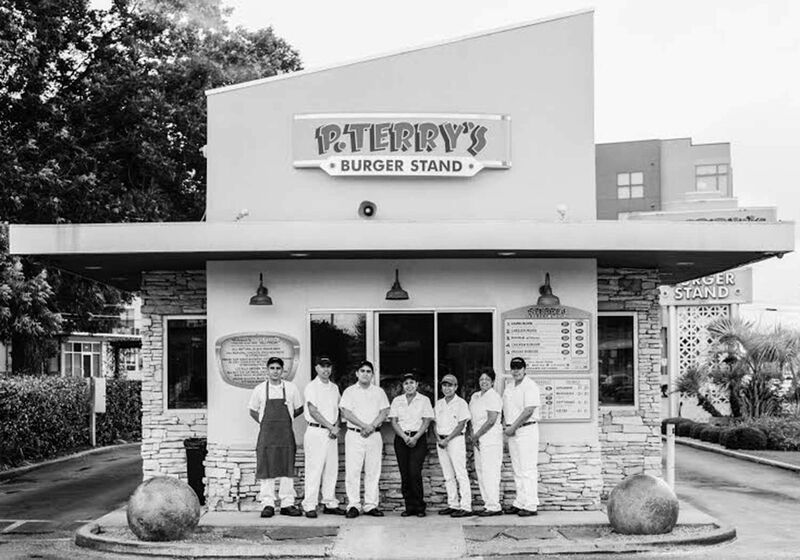 Patrick was following his childhood dream to open a classic burger stand, like the legendary Mack Eplin's he grew up with in Abilene, Texas. But when Kathy read the book "Fast Food Nation", their plan to provide quality food and service went to a higher level. 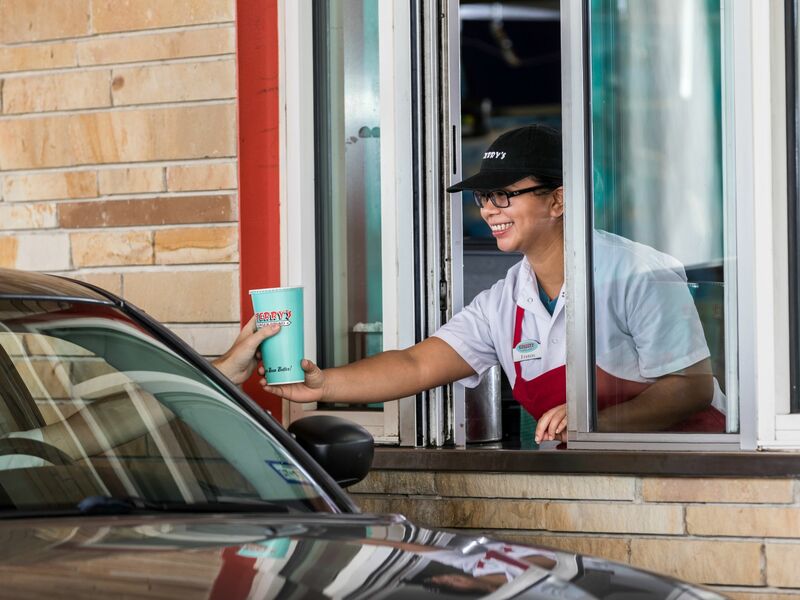 P. Terry's offers the freshest quality ingredients you can find served out of a drive-thru window. We're where fresh, all-natural, beef and chicken became staple items. We serve fresh-cut fries made from all-natural potatoes, free of trans fats and hydrogenated oils. 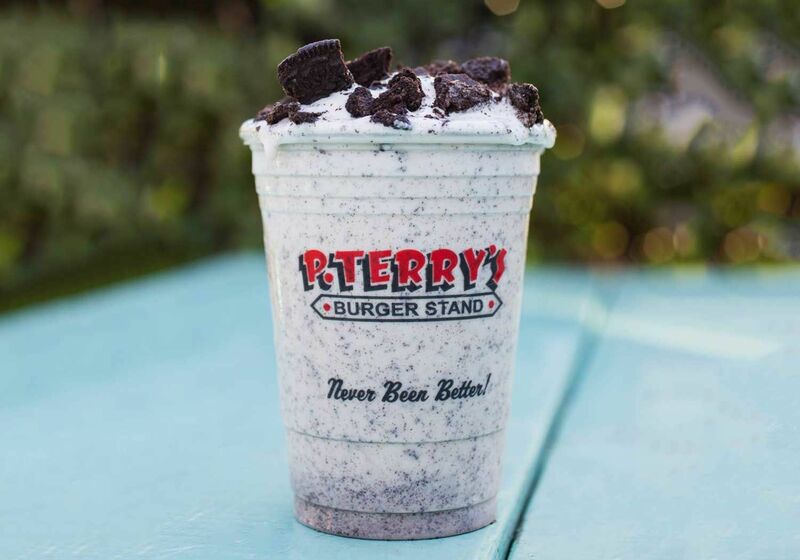 Add to that our fresh-baked cookies, banana bread, and house veggie burger; our fresh-squeezed orange juice and lemonade; and our authentic milkshakes - we care about what's out there to eat, and we make our food with that in mind. 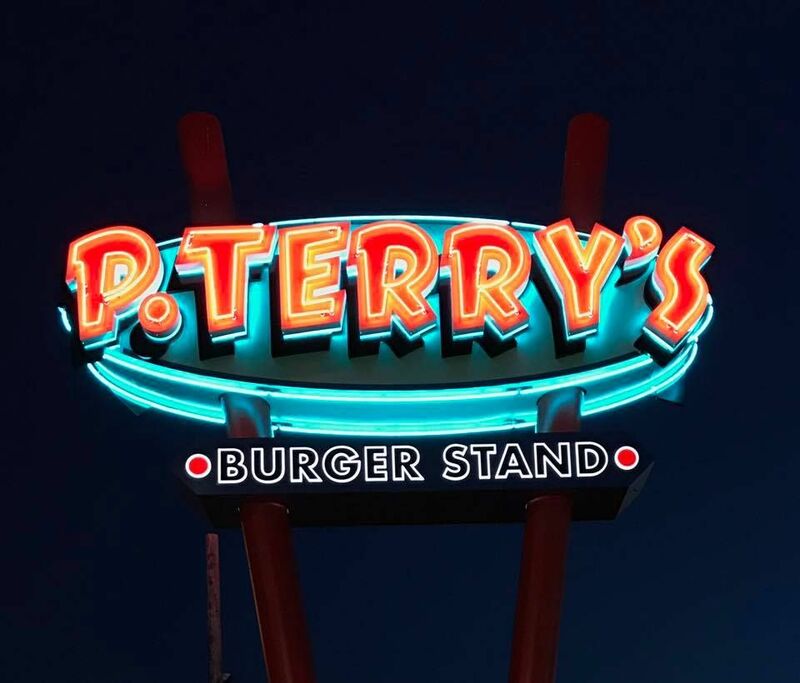 But we didn't forget Patrick's original image - the classic burger joint of the '50s and '60s, when small-town hospitality was the standard. That's why we offer a simple menu with an open kitchen, featuring premium quality ingredients, all served at affordable prices. It's why we treat every customer with utmost respect; take every chance to give back to our community; and ensure our employees' well-being - through opportunities to grow with our business, access to unique benefits, and pay above industry standards.